Is iDeal payment method included as well? Hi, This plugin indian currency rupee supported ? This is working for Indian Currency Rupee ? Without customization ? please I need help using this plugin. I already posted in the dedicated support forum but still no reply. 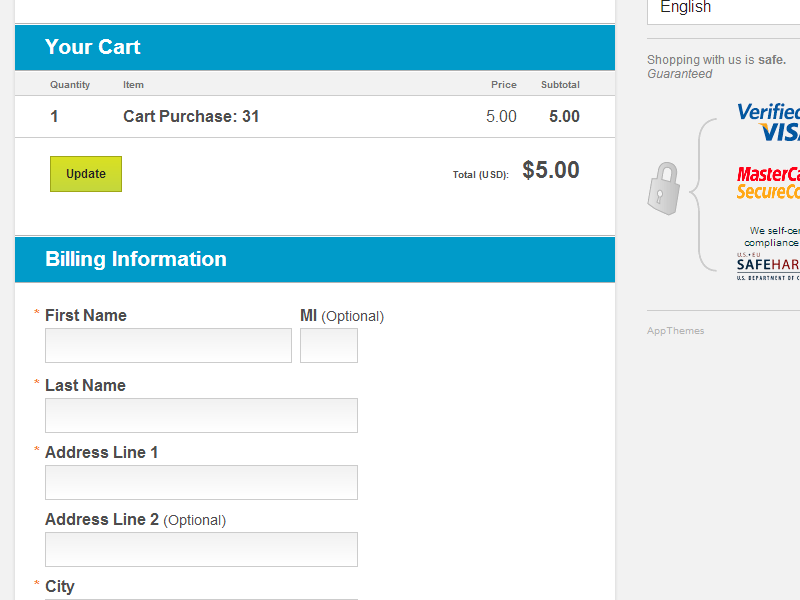 After signing up with 2Checkout, on the Dashboard they ask which integration method will be used. Which option is most suitable to choose for this plugin? Hi, I would like to ask what is the use of Secret Word on 2Checkout Payment Settings? @merwinjs, support is handled in our 2Checkout forum. Please post your questions there and someone will assist you. Thanks. Hi there, is it compatible with Vantage 4x? 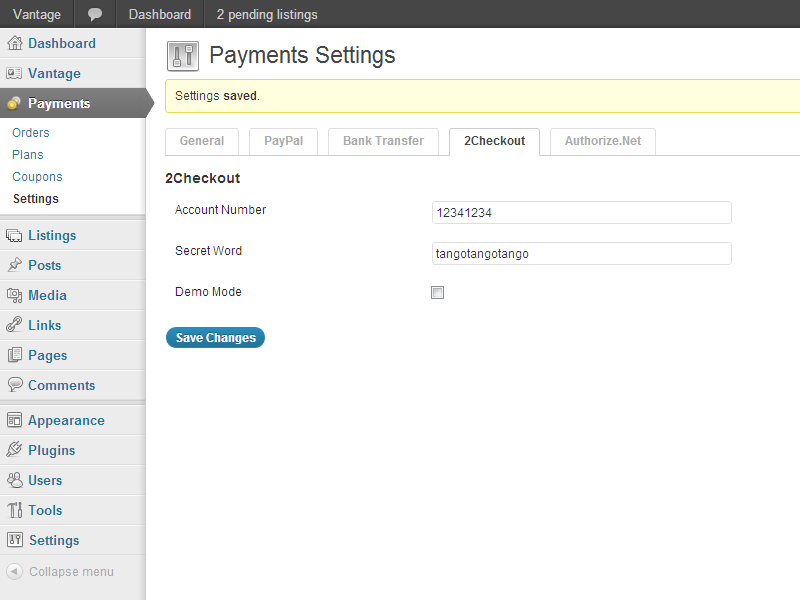 Yes, all our payment gateway plugins work with Vantage 4.0. Hi David, just purchased it and it’s now working with my vantage 4.x. I keep getting a message saying that there is no payment gateway available. When I activate another payment plugin I purchase from here everything works fine. Are you sure is compatible with Vantage 4.x? Yes, make sure you enable the 2Checkout gateway under “Payments” => “Settings” => “General” => “Installed Gateways”. Hi David, is this one really available in Spanish language? Are you serious? I forgot to activate 2Checkout?? That is very funny David. The Strip plugin works fine 2Checkout doesn’t. Is it compatible with Vantage 4.x or not? Some customers forget that step which is why I asked. If you performed that step and it’s still not working, then maybe there’s a bug with Vantage 4. I’ll log a ticket with our dev team to check it out. BTW, thanks for posting your question in our support forum. That’s where someone can assist you better. hello can i use 2checkout plugins for my web site as you only support paypal witch in srilanka cannot receive Payment yet. ? did i have to purchase from only you and is there is any other menthod? to download 2check out. i saw one with wordpress free plugins too. need help and great solution. I have a two checkout account…..
It’s possible to get my money back for this adon? es compatible para pagos en chile ?? Does it work with the new 2checkout system updates?